Search Engine Optimization has been around for a long time now. 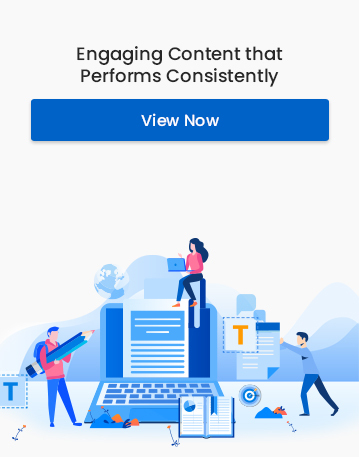 Initially emerging around the mid-1990s, this practice mainly involves optimizing web content to attract more traffic and earn better rankings on the search page. Nowadays, most optimization is done keeping in mind search engines’ algorithms and guidelines. SEO is ever-changing. New strategies are emerging every day. Yet most writers who work with SEO mechanisms continue to use the very same strategies which were known to be useful many years ago. Change is the only constant and the only way one can remain relevant is by discarding old habits for improved ones. Here are 5 such habits which you should change to make your writing more effective in 2018. Also known as ‘keyword stuffing’ this habit is a product of the outdated SEO strategy: “more keywords = more traffic”. Unlike a decade ago, when this strategy actually used to work, 2018’s search engines prefer content which incorporates keywords seamlessly and naturally. Search engines prioritize user experience over all else. A webpage packed with repetitive keywords can ruin the user experience. For example, Google’s algorithm considers such web pages as having poor quality content and ranks them poorly on the search page. Using similar keywords in groups, lists or merely out of context can be counterproductive. Solution: Effectively optimized content requires keywords to be used in context. Using keywords is helpful only if they are put together in natural sentences and if they appear as a genuine part of the content. The simplest way to do this is by creatively investing in the content you produce for your website. For example, if the keyword that you are going for is “black dresses”, it might be worthwhile to spin it into a meaningful article about “dresses that are in season” rather than just using the keyword over and over again. Till a couple of years back, the basic strategy for SEO writing was making content to exploit the search engine. The searcher was secondary. As mentioned earlier, search engines’ pursuit of enhanced customer experience has pushed it to make many updates. The focus is no longer on the keywords which match the demands of the algorithm but on those which most closely satisfy the searchers’ queries. Although keywords are still important they are no longer the sole driving factors in optimizing content. Solution: The idea behind these changes is to focus the content on human users. Instead of focusing only on using specific keywords, one advantageous strategy could be to chalk out specific intentions which the searcher have when they use such keywords. Then, respond to this query using your content. Searchers most likely to click on a link which seems to immediately answer their questions. Not only that, but the search engine itself is also more likely to give a higher ranking to such a website. Old SEO strategies will tell you that those websites which produce keyword-rich content constantly, are preferred by the most search engines’ algorithm. This can push you to hastily produce content without checking if it is interesting or relevant. But, the algorithm has evolved. Mass, repetitive content is no longer acceptable if it is lacking in quality. Keyword cramming is only one of the ways in which the content loses quality. No matter how naturally you use your keywords, if your content is riddled with grammatical mistakes, is uninteresting and irrelevant to your audience, it will not be useful in attracting searchers. Solution: To be appealing to the searchers as well as the algorithm, the content must be relevant, grammatically correct and engaging. Take the time to find out what topics are of interest to your audience. Support your article with interesting pieces of data or visually engaging graphics. Make your content easy-to-read and well-researched. A little effort can go a long way in ensuring quality content. Not only do search engines like Google overlook content that has been blindly copy-pasted from another website, but they also penalize websites which use such content. For example, over the years Google’s plagiarism-detecting updates have become even more precise. Stealing content can be punishable by law if it infringes upon the author’s intellectual property rights. Solution: One of the easiest ways of overcoming the habit of plagiarism is by giving credit where it is due. Properly citing your sources and acknowledging writers from whom you may have borrowed content, facts or images can allow you to use content without getting sued over it. An additional step that can be taken is making use of free plagiarism checking tools available online. 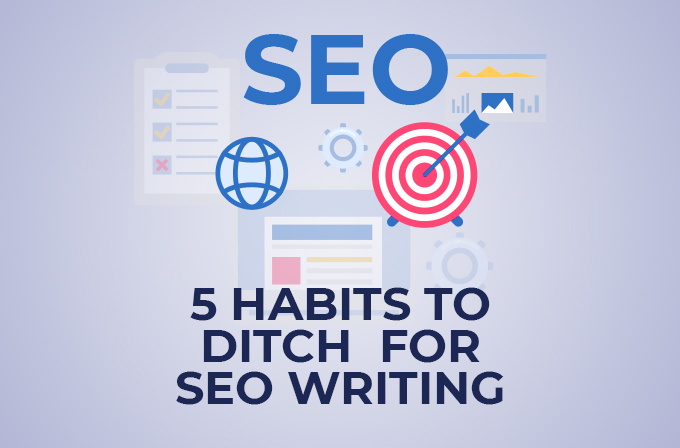 SEO-writers working with outdated strategies might create content which is deliberately increased in length to add more keywords and their variations. Long blocks of content made out of mostly filler material, can be frustrating for the searcher. Searchers are looking for specific information. At the same time, for the sake of briefness, you cannot sacrifice on content either. Your piece of writing still must include the necessary facts and other important information. Solution: The simplest way of ensuring the perfect length of your content is by creating an outline and sticking to it. Use data but if you find statistics outnumbering your written content, maybe go easy on how much data you include. Another solution could be reviewing the information you add to your piece. In conclusion, much like most technologies and strategies, SEO is one that constantly evolves. It is important for all SEO writers to familiarize themselves with new techniques for optimizing their content and update the way they organize their writing. After all, one of the biggest changes in SEO writing has been that it is no longer a passive process. The searcher is more active than ever before. The content options available to them are more abundant than ever before. Therefore, you as a writer should be more prepared than ever before.